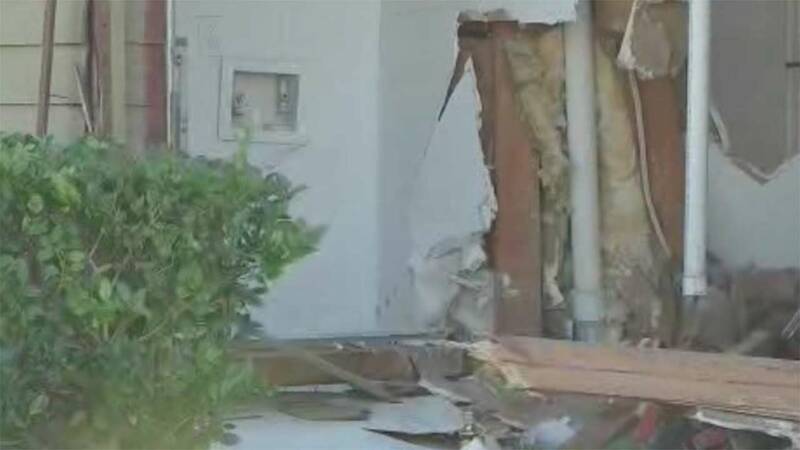 HOUSTON (KTRK) -- An apartment suffered major damage after a driver slammed the building in northeast Harris County. It happened on Crosswinds and Aeropark. A mother had just visited her daughter at the apartment complex across the street when she apparently passed out behind the wheel. Deputies say a woman crashed her car through a fence and then into the apartment building across the street. Police say she suffered some sort of medical episode. There is no word on the woman's condition.